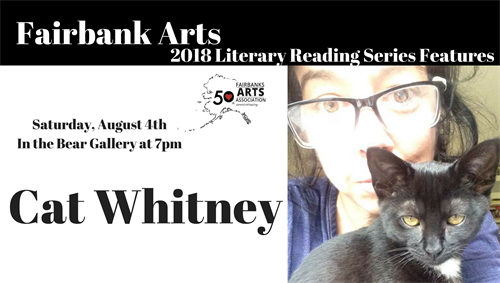 Join Fairbanks Arts in the Bear Gallery for a reading with Cat Whitney. Cat's first publication was the winner of the 1995 Christmas Holiday Story Contest in the Fairbanks Daily News-Miner. She has degrees in English, Animal Science, and Education. In 2015 she decided to bypass traditional publishing and use Createspace to market her memoir ‘Exceptional Creatures: Stories from the veterinary field’ which became a finalist in the Next Generation Indie Book Awards. After her reading, Cat welcomes discussion about her process of self-publishing.